The tweet, possibly intended to capitalise on racial tensions, was in part inaccurate — there is no large-scale killing of farmers going on. But the part about land seizures is accurate. The move is ostensibly about racial justice — white farmers own about 72 percent of the country’s individually owned farmland, which they wouldn’t own if not for colonialism and apartheid. The idea is to take some of that land and give it to black farmers. This is, naturally, a morally contentious issue — opponents will argue that since the current owners didn’t do the seizing, they’re entitled to compensation. But the policy is also about economics — South Africa’s unemployment rate has been rising and now is more than 27 percent, a rate higher than anything suffered by the US during the depths of the Great Depression. The government has been trying to put people to work by employing them in community and social services, but there’s only so much that can do. Sending restless unemployed people out into the countryside to farm seems like an attractive alternative. In most industries, bigger is better; a huge factory can usually produce cars or computer chips more efficiently than a small one, while a large national chain store can optimise its purchasing and logistics more efficiently than a mom-and-pop shop. In agriculture, that’s also true in terms of overall productivity — a large mechanised farm doesn’t use much labour, allowing it to produce lots of food cheaply. But small farms, especially in developing countries, tend to be more efficient in their use of land. Growth economist Dietrich Vollrath has a blog post summarising the relevant academic literature. An inverse relationship between land yield and farm size — meaning smaller farms making more intensive use of each acre — was recorded in India by the Nobel Prize-winning economist Amartya Sen in 1962. Many subsequent papers and books have confirmed this observation. 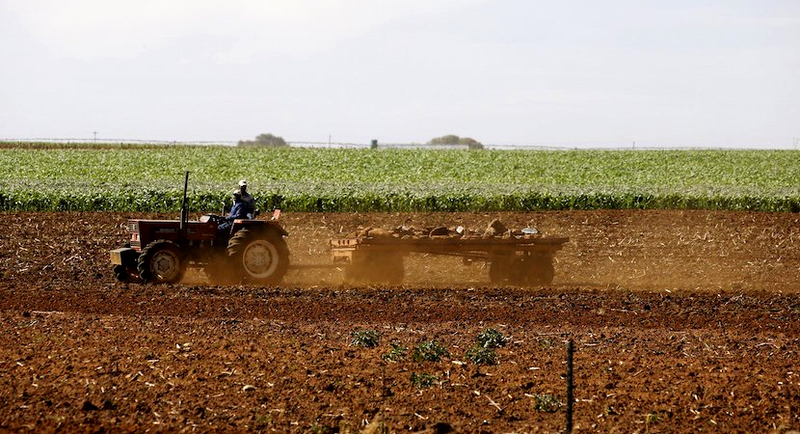 The relationship doesn’t hold for commercial farms in developed countries like the US, but it seems like a universal feature of developing economies, including South Africa. Theorists have struggled to explain this strange phenomenon — if large commercial farms are less productive than small family farms, it should make sense for the owners of the big farms to just rent some of their land to family farmers, increasing output and splitting the proceeds. But for some reason that doesn’t work — when small farmers manage their own land, they work harder and get more out of the land. Journalist Joe Studwell, in his book How Asia Works, speculates that it’s simply a matter of motivation — when small farmers feel like they’re in business for themselves rather than for a landlord, they put in the extra work to do things like intensive weeding and individual plant care. This isn’t efficient in terms of profit. But if you have a huge pool of idle labour, as South Africa does, small farming could be a highly effective way to put people to work. Studwell believes that it was land reform — expropriating farmland from wealthy landlords at below-market prices and handing it out to small farmers — that kicked off economic growth in Japan, Taiwan and South Korea. These promises and pitfalls can be seen by examining the experience of neighbouring Zimbabwe. In the 1990s and 2000s, Zimbabwe expropriated all of its remaining white-owned farmland without compensation, handing it over to black farmers. This resulted in improved agricultural yields, rising incomes for farmers and reduced rural poverty. But the new small farmers didn’t end up using all of the land that was given to them, and total agricultural production suffered. The production of maize, a staple crop, fell by more than half during the early 2000s and 2010s, and the country was forced to start importing food. The country famously became an economic basket case under President Robert Mugabe, suffering hyperinflation and an economic crash. But interestingly, maize production recovered to its earlier levels in 2017, and some argue that land reform’s positive effects will ultimately prove more enduring than Mugabe’s economic mismanagement. So if South Africa decides to go through with extensive land reform, it will be important to get things right. Farmers should only be given as much land as they’re willing and able to use, and they should be supported by high-quality training and agricultural extension services. Crucially, the government should allow the market to dictate what crops the new small farms grow, rather than issuing orders about what to plant. These policies will help make land reform a success, hopefully alleviating South Africa’s unemployment and setting it on the road to economic development.